Samaritan Forum 2017 | SAMARITAN INTERNATIONAL e.V. The SAMARITAN Forum 2017 took place from 24-25 August 2017 in Riga, Latvia, hosted by LSA, the focus topic was “Social Services / Social Affairs”. 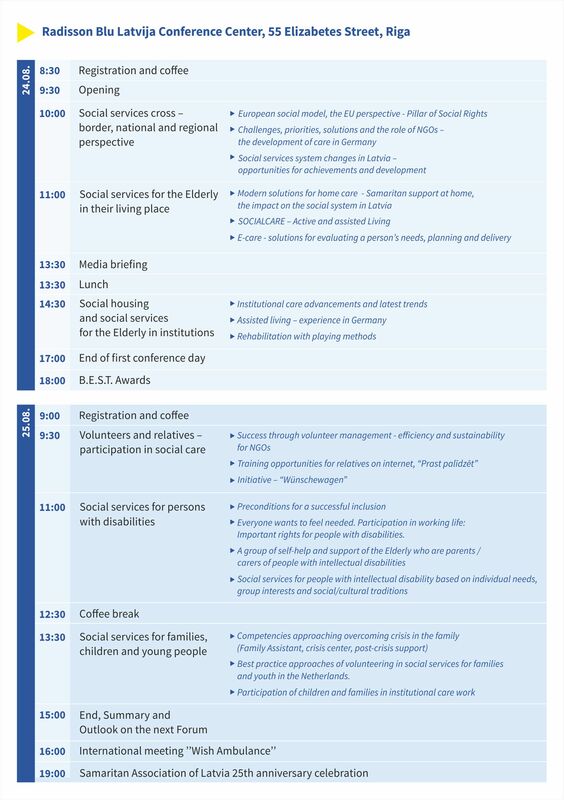 An overview of the programme is available here.